Columbus Day weekend is wrapping up for the leaf-peepers. Autumn colors are still muted in my area, except for a few specimen trees flashing scarlet. I figured the Monadnocks would be a little showier today. I stole a couple of hours from my schedule this morning and headed to Miller State Park in time for a walk up the auto road before it opened to cars for the day. 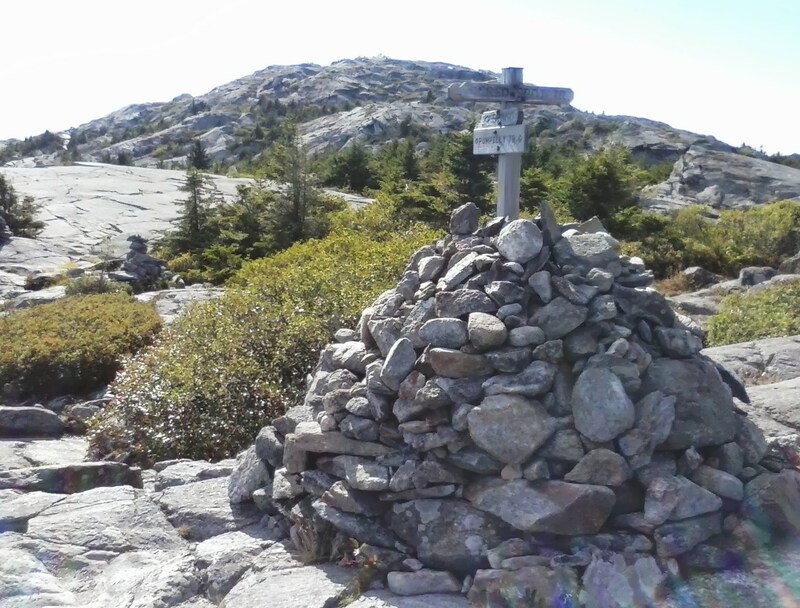 I actually spent time alone on the summit of Pack Monadnock! A rare treat, that. I thank God for days like this. 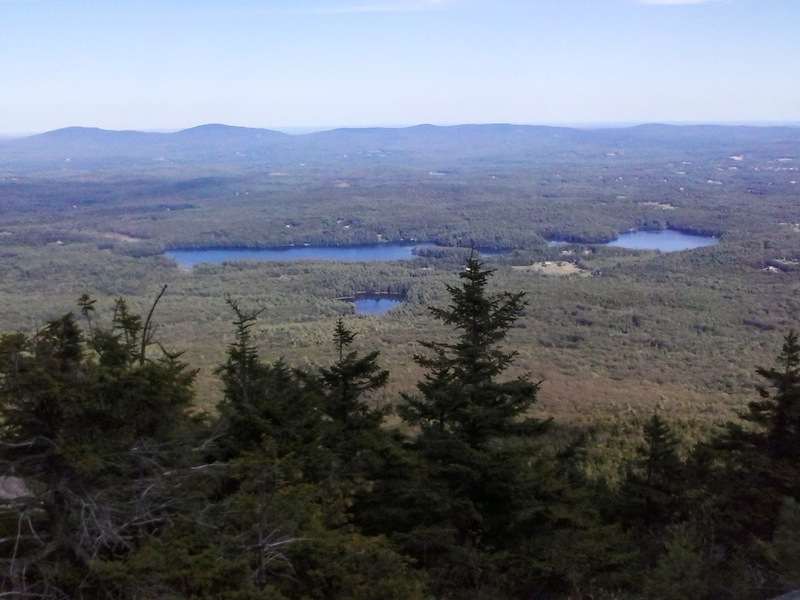 From the Pack Monadnock summit: Mt. 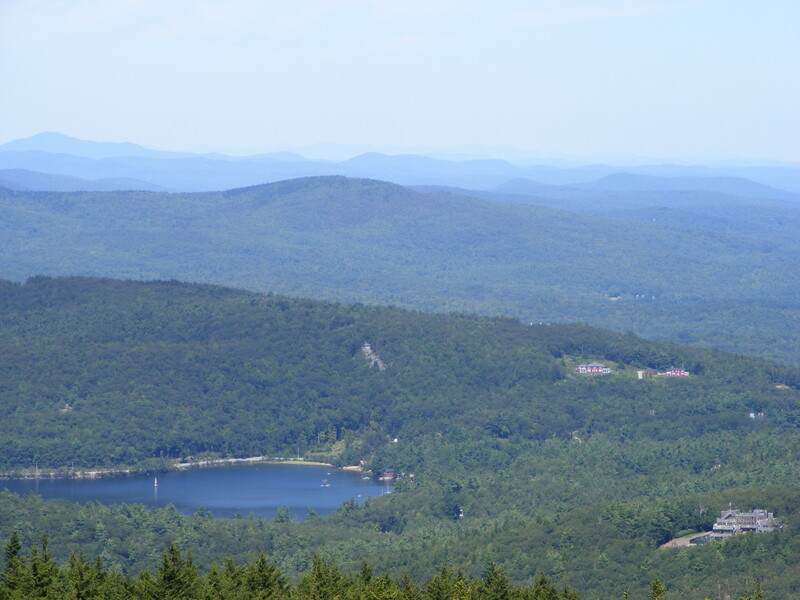 Monadnock, about twelve miles away. Near the base of the auto road. My guess is that the P on this marker is for Peterborough, one of three towns that can lay claim to part of Pack Monadnock. Plenty of colorful foliage over there on North Pack Monadnock. 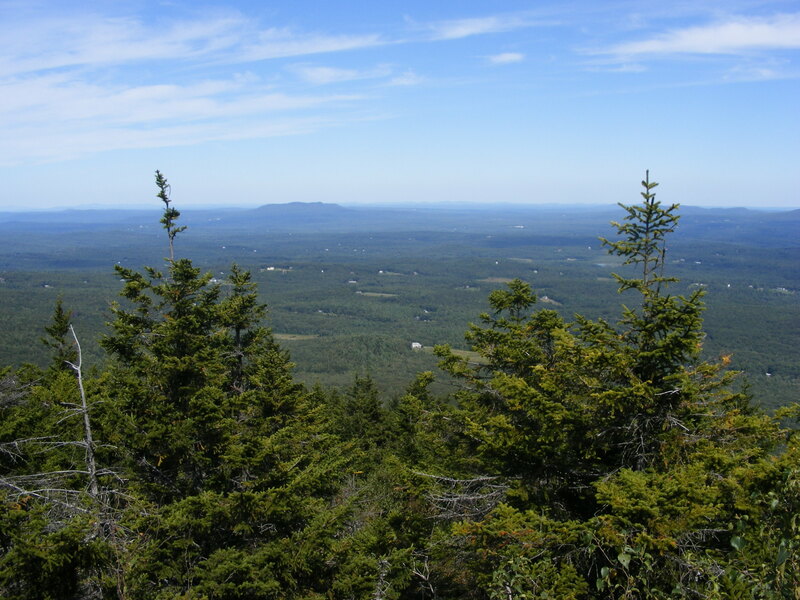 When I took my kids to Pack Monadnock when they were little, the first thing they wanted to check from the summit was whether it was “a Boston day,” clear enough to see Beantown’s skyline. Today was a Boston day. Bleached by the sun’s glare: the New Boston Air Force Station’s radomes on the left, city of Manchester, New Hampshire on the right. And here’s the Granite State Walker, offering a chocolate-milk toast to the physical therapist who helped me get my knee back into shape this year. 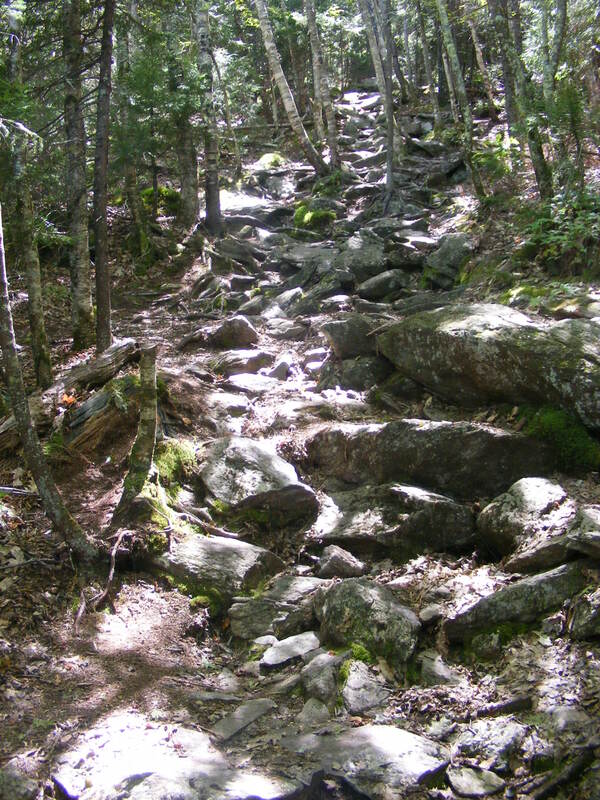 A bad day on Mount Monadnock is better than a good day on … oh, forget it. Sometimes a bad day is just a bad day, whatever the setting. At least I picked a scenic spot to tweak my knee. As high as I got this day! A few weeks back on this blog, I vented about people who did silly things and got themselves into trouble on a trail. I added that if I ever found myself in the same position, I’d ‘fess up. Here I am, as promised – and that didn’t take very long, did it?! I made two mistakes yesterday: I started up the Pumpelly trail much too late in the day, and I didn’t take the first bail-out point after the first time my knee buckled. Serves me right for deciding on the spur of the moment to take a long hike; even twelve hours’ advance planning would have given me a chance to arrange to hike with a friend. It turned out to be a very long day. No long-term harm done, fortunately. It’s not the first time I’ve strained a knee; nothing’s torn or broken. My trusty and cheap little trekking pole was my best friend as I slowly and painfully made my way downhill at a one-mile-an-hour pace. I considered it imperative to be off the mountain before sundown via the quickest route possible, even though I had a flashlight. I then had a few miles of paved and manageable road walking until I got back to my car at 8:30 p.m.
Phoning for help, by the way, is not an option on the east side of the mountain or anyplace below tree line. I knew that and did not expect to use my cell phone for a distress call. This was particularly frustrating to me as I have two acquaintances living just east of the park, and a ride from them could have saved me that road walk. Oh, well – I wanted a hike, and I sure got one. Learn from my experience. Don’t ignore “tweaked” joints when hiking uphill. I should have turned around earlier. I had lots of time during my walk back to my car to contemplate my poor judgment. 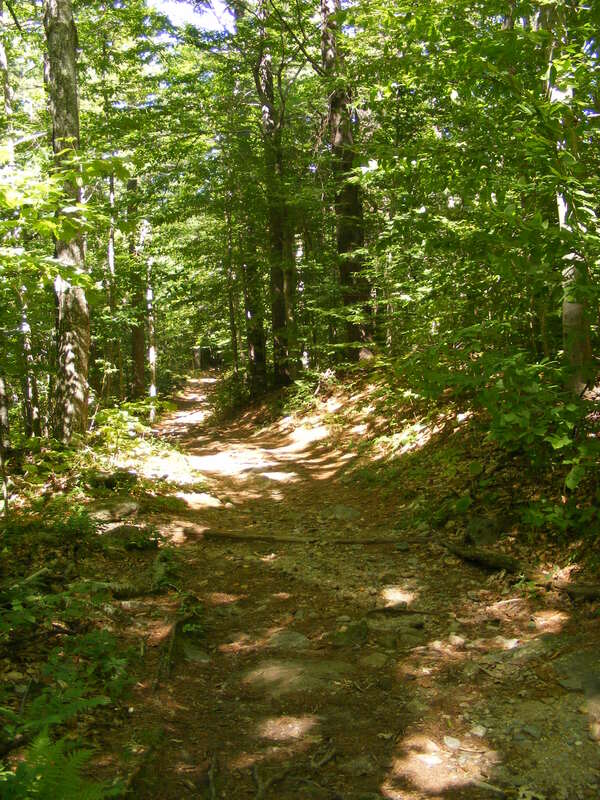 Pumpelly Trail: first, the woods walk. Crotched Mountain on the horizon. Any other day, I would have loved the three trails on which I spent the most time: Pumpelly, Red Spot, and Birchtoft. Even on this high-traffic summer weekend, they’re quiet and uncrowded. I got a close enough look at the summit to see way too many people up there, and I’m not sorry I didn’t get all the way up to join the crowd. Wapack Range. 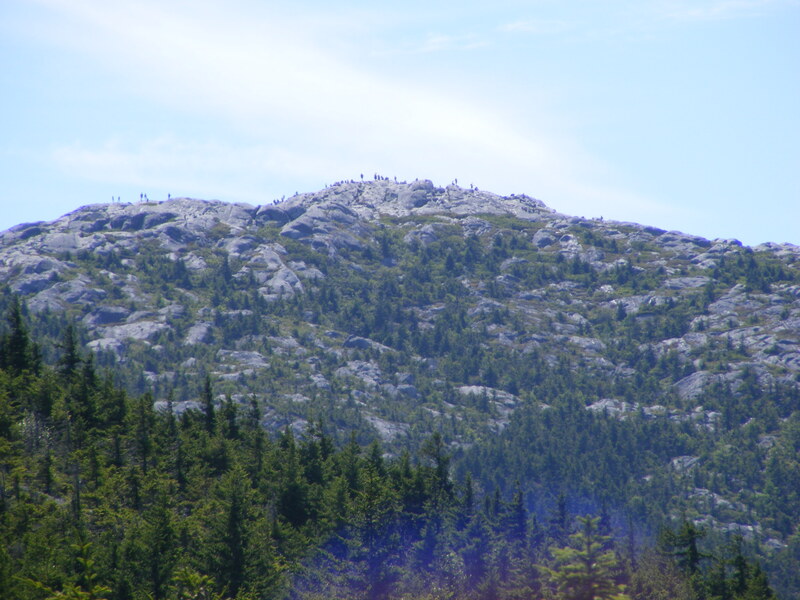 L-R: North Pack Monadnock, Pack Monadnock, Temple Mountain Ridge, Kidder. Large pond is Thorndike; small pond in foreground is Gilson. Monadnock panorama, from the junction of Red Spot and Pumpelly trails. 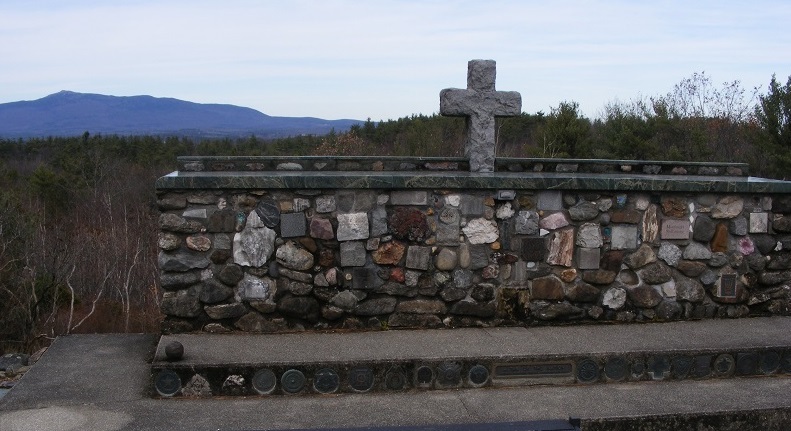 Enjoy this August 22 post by Patrick Hummel, who’s leaving his post as park manager at Monadnock State Park. His words alone are a treat, but the photos really make this a great post.